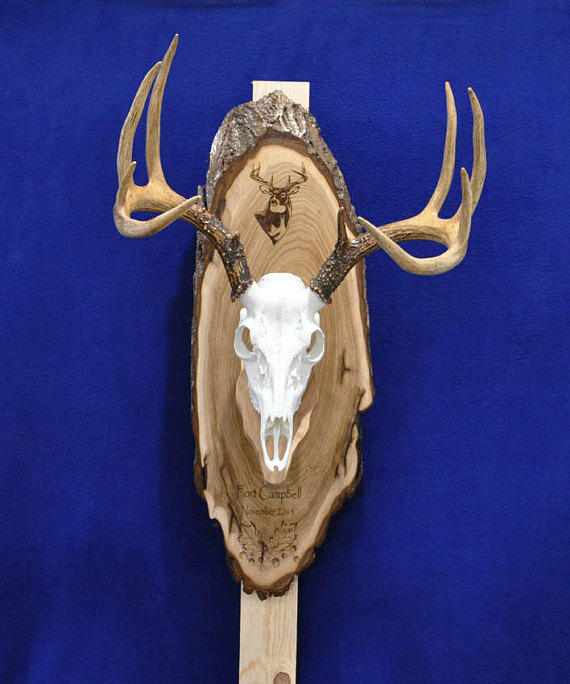 We wanted to create something "different"...a different option from the old fashioned "badge plaques" to mount your trophy animals, birds, and fish! 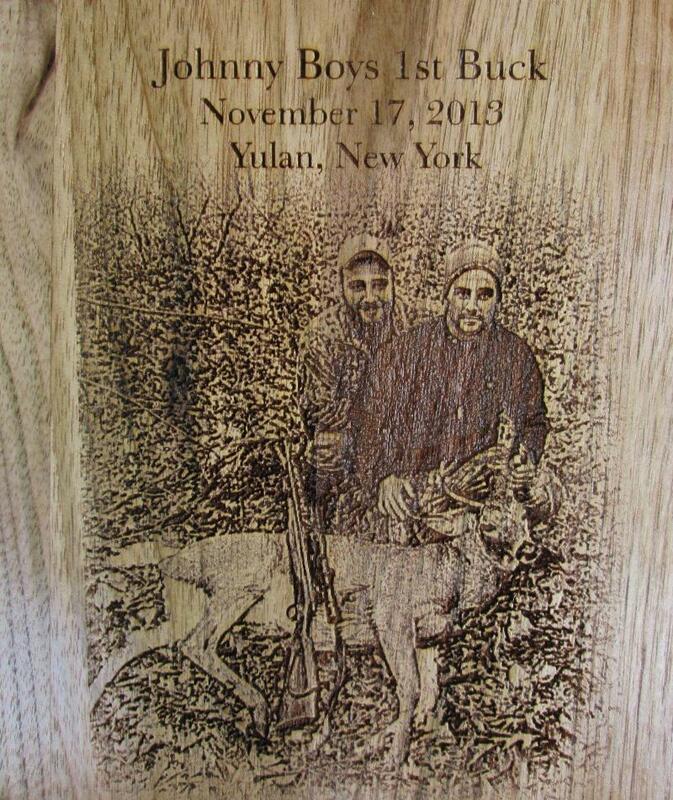 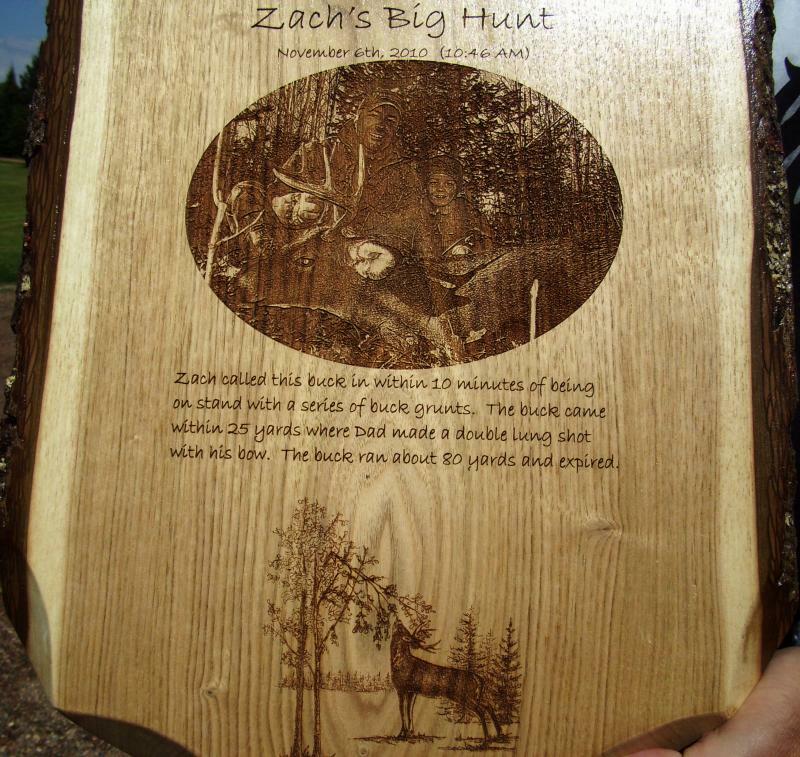 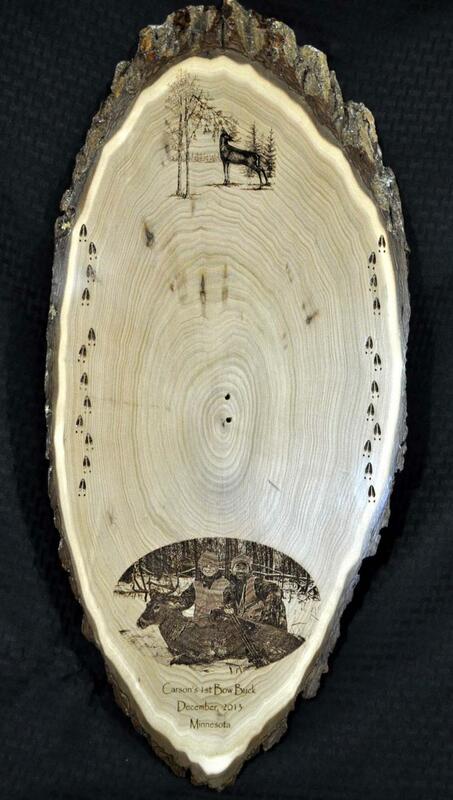 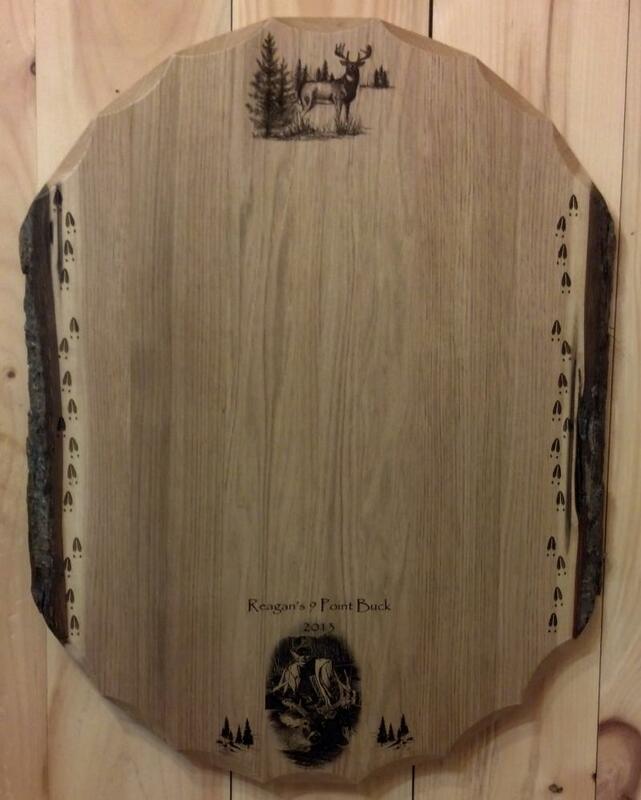 We wanted to create a board keeping the bark on and then engraving the most true to life images we could find. 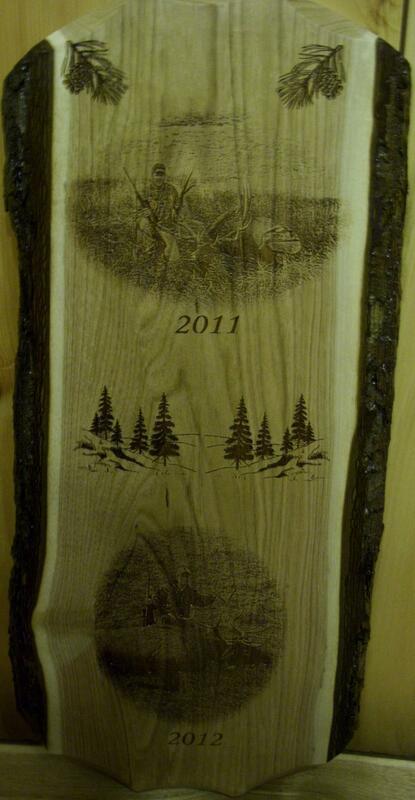 We couldn't find any so we have a few artists hand draw them for us to use in our programs! 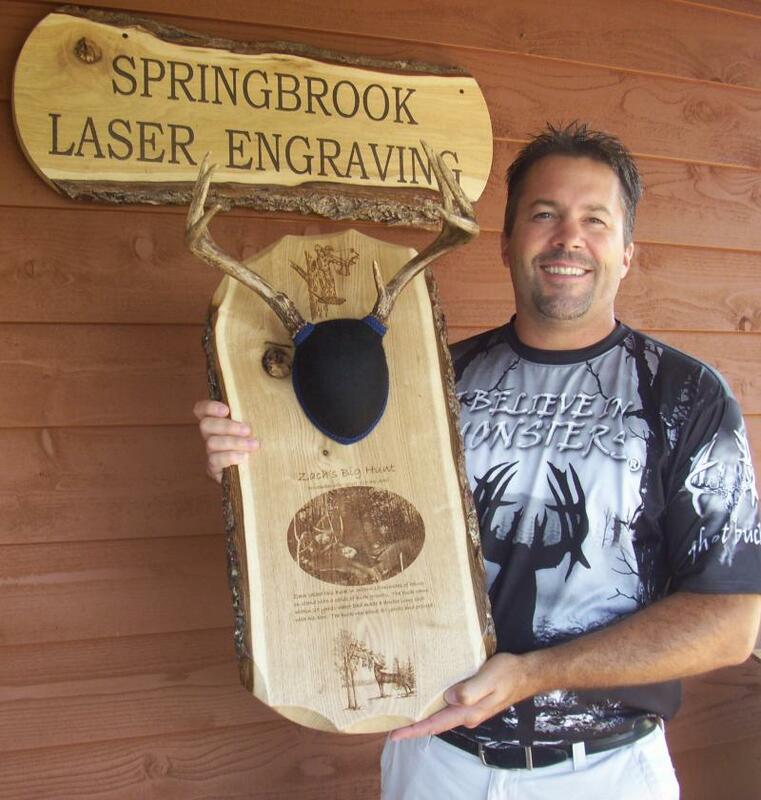 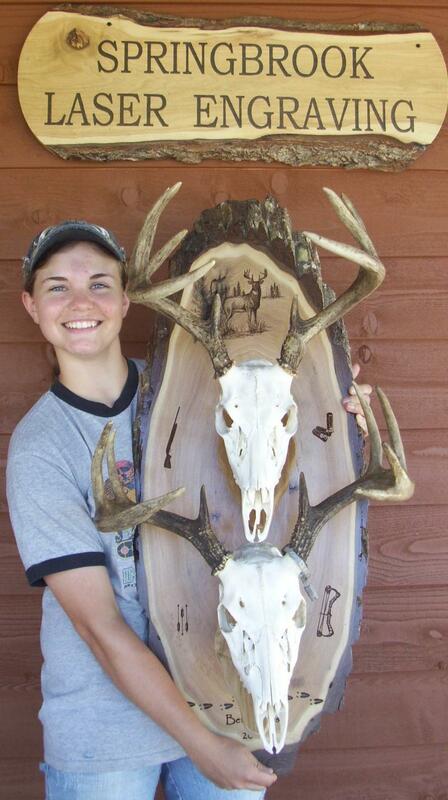 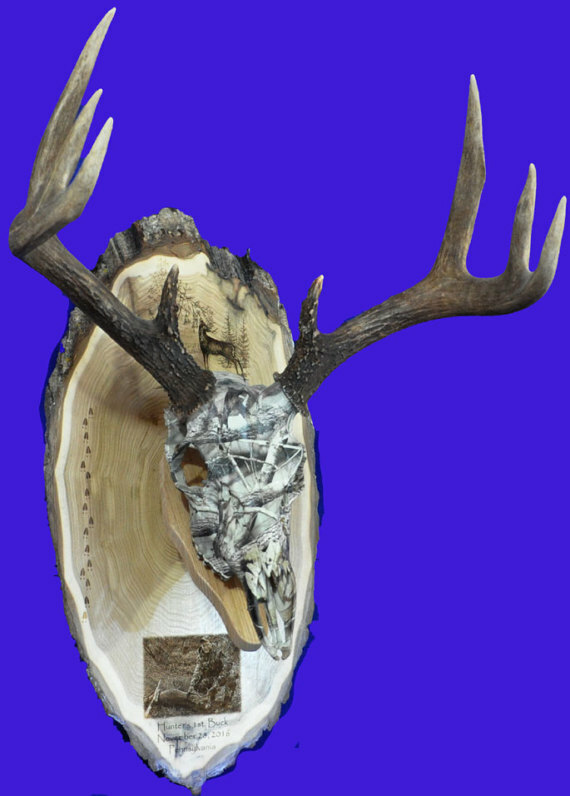 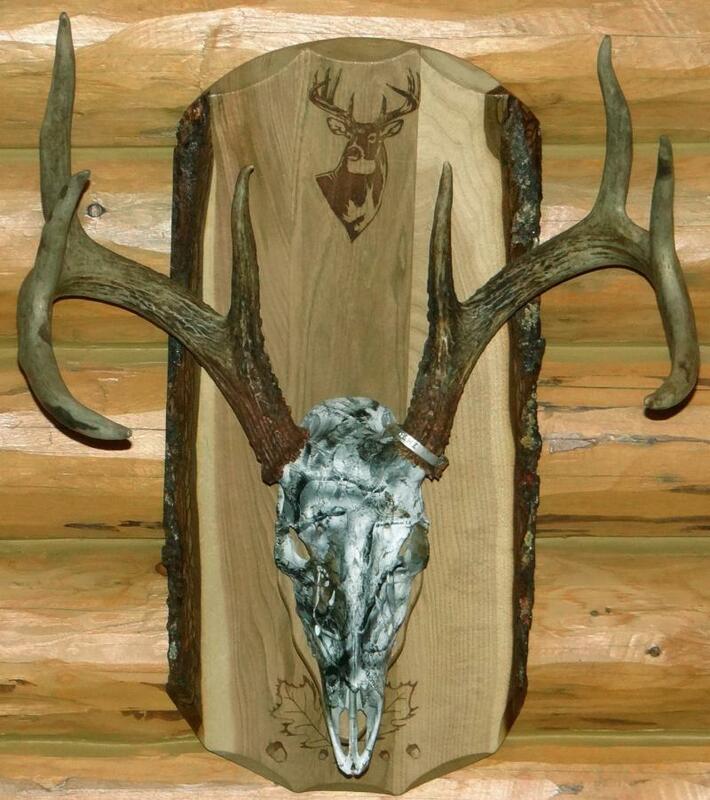 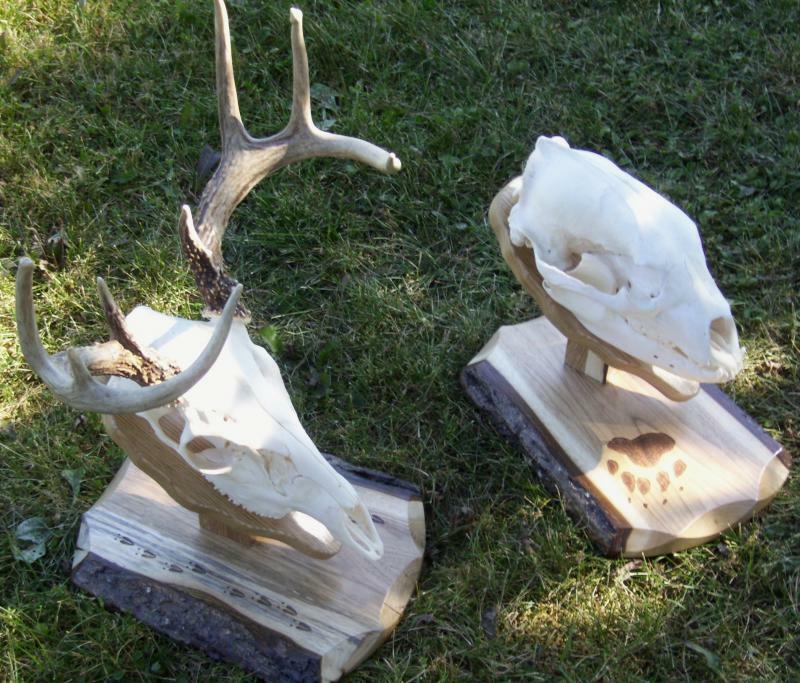 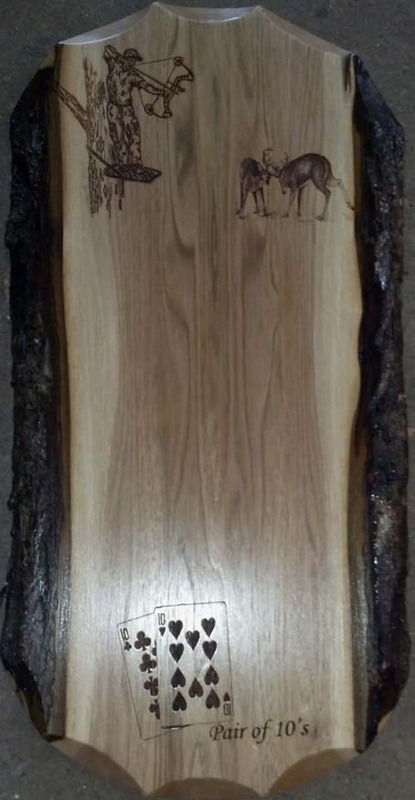 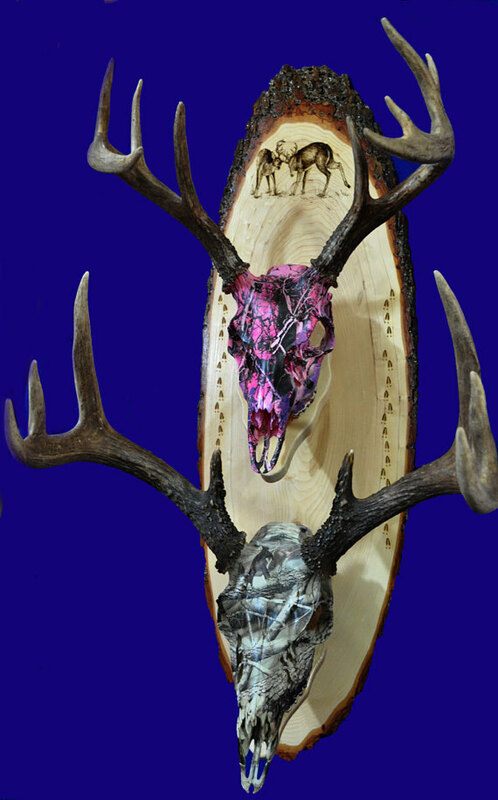 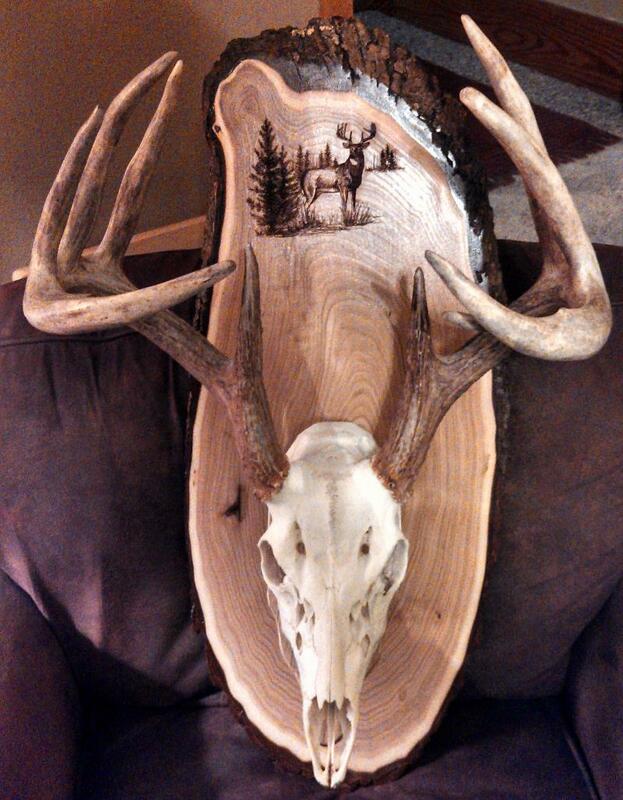 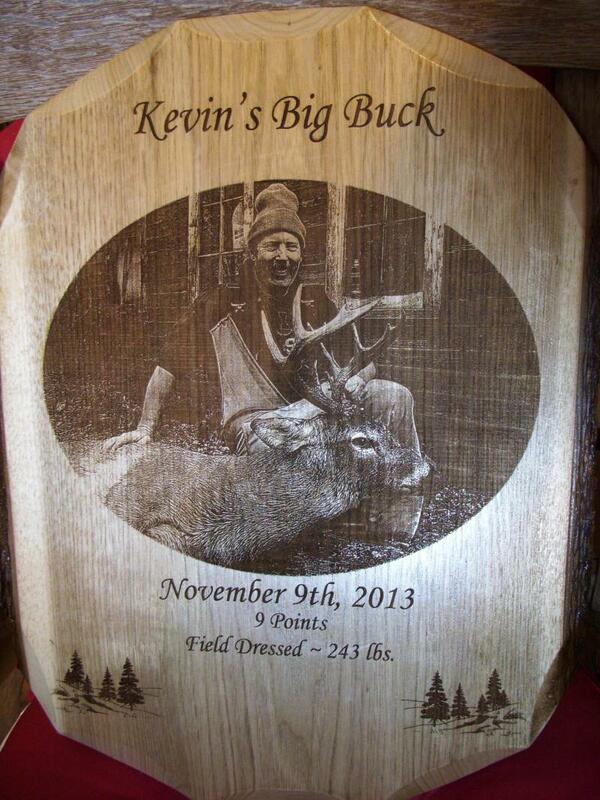 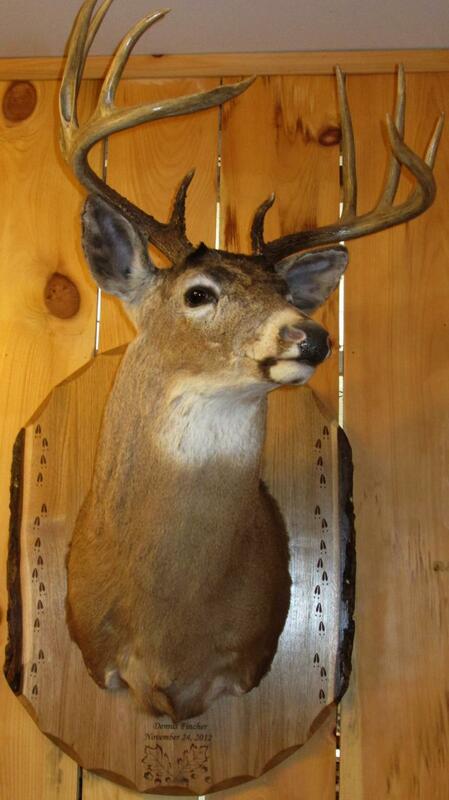 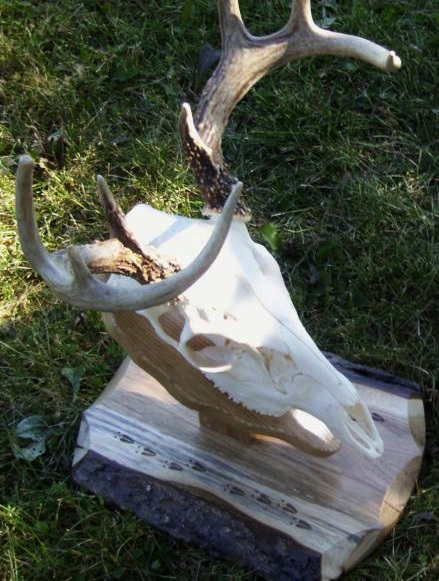 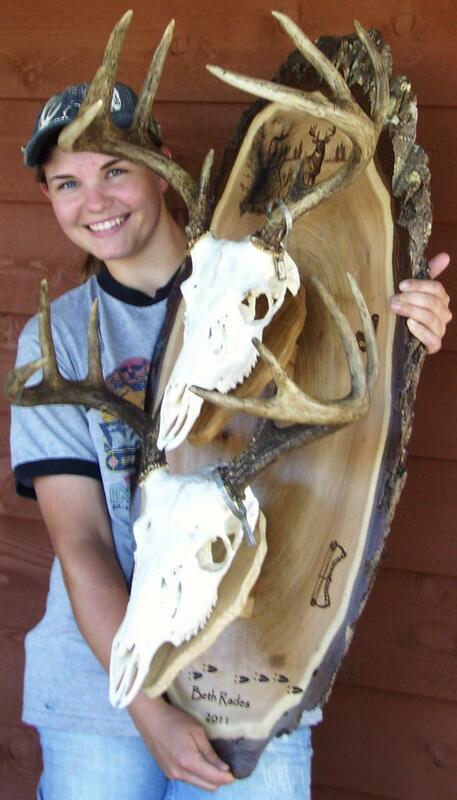 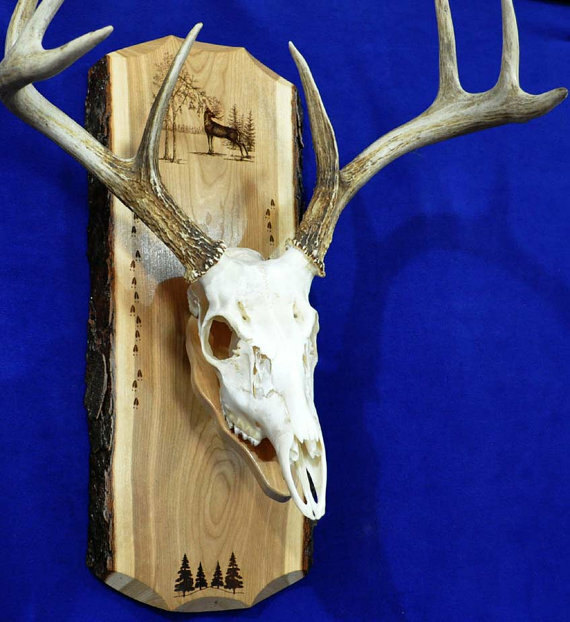 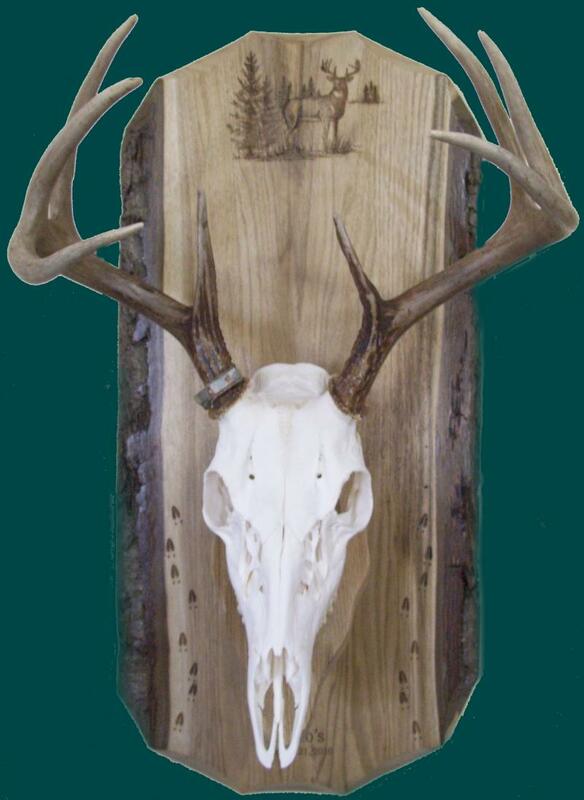 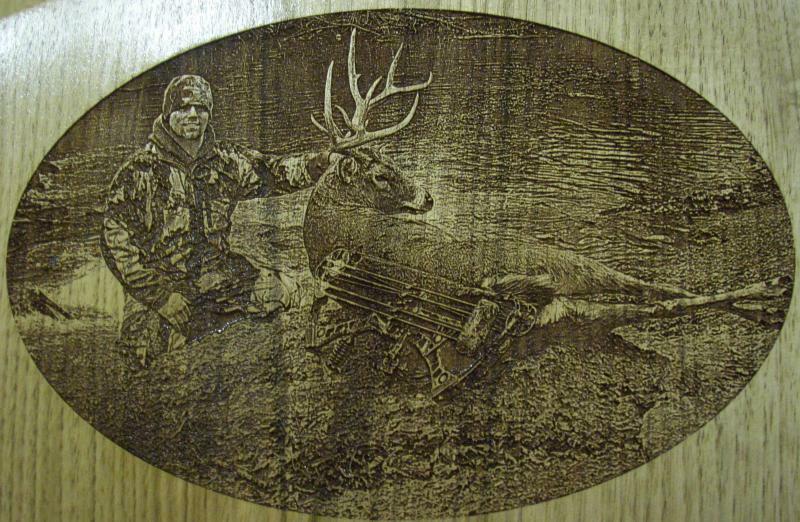 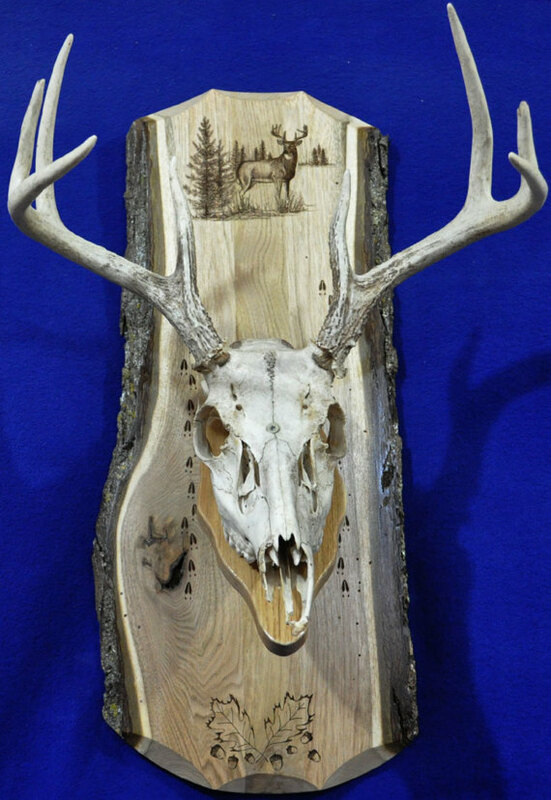 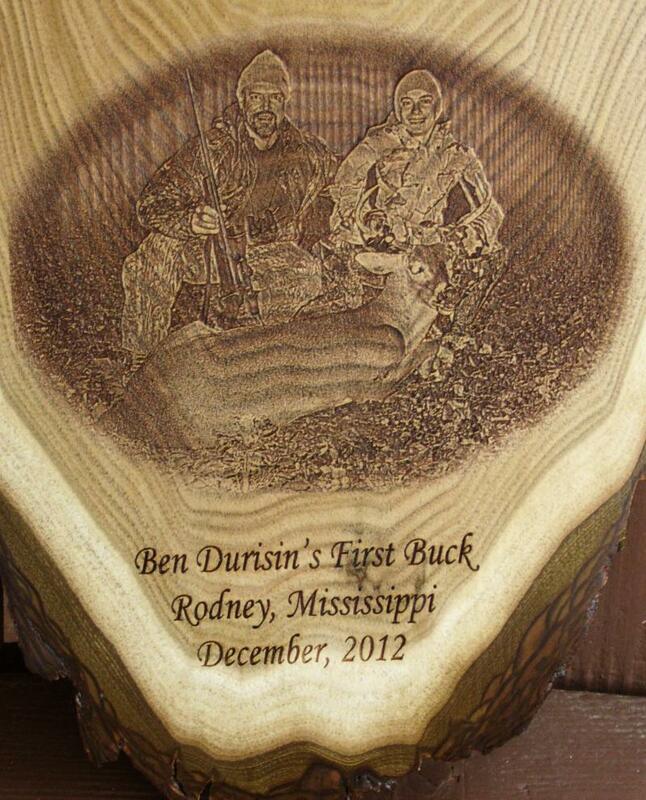 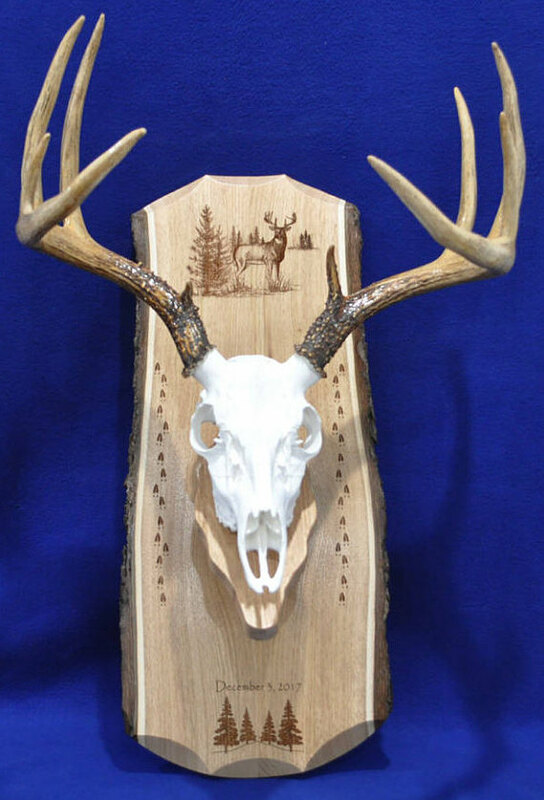 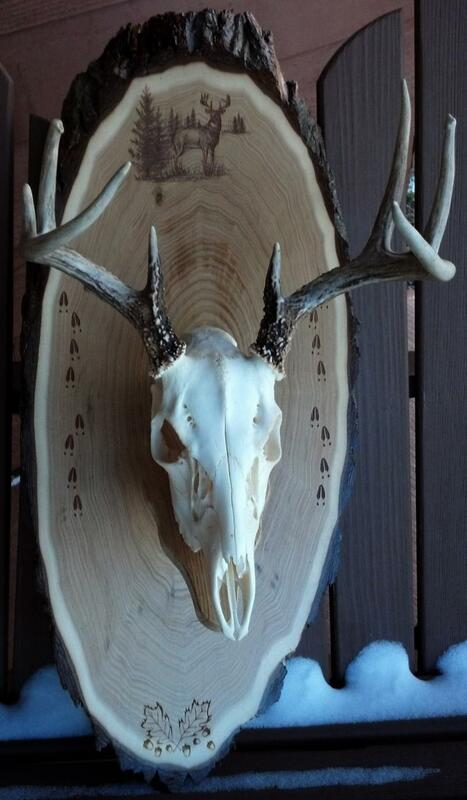 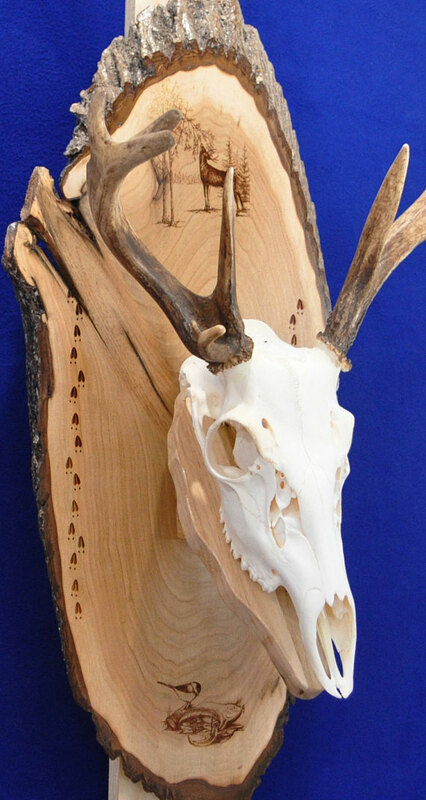 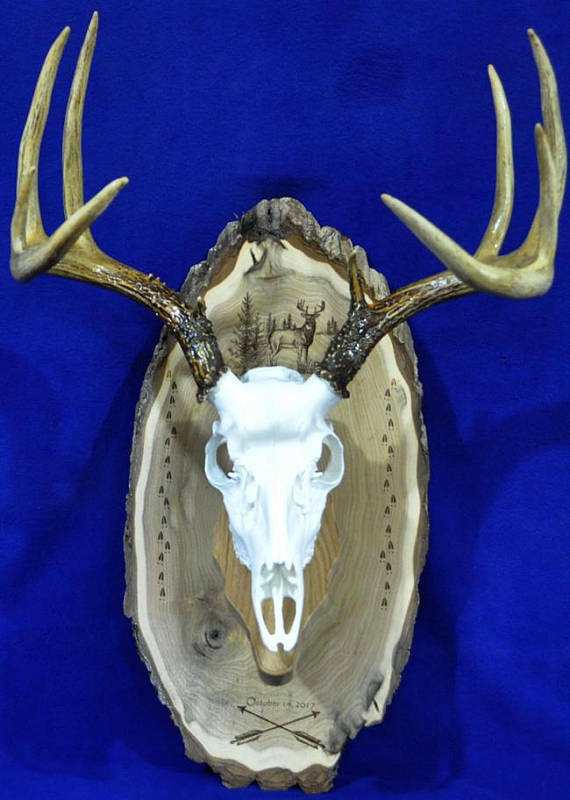 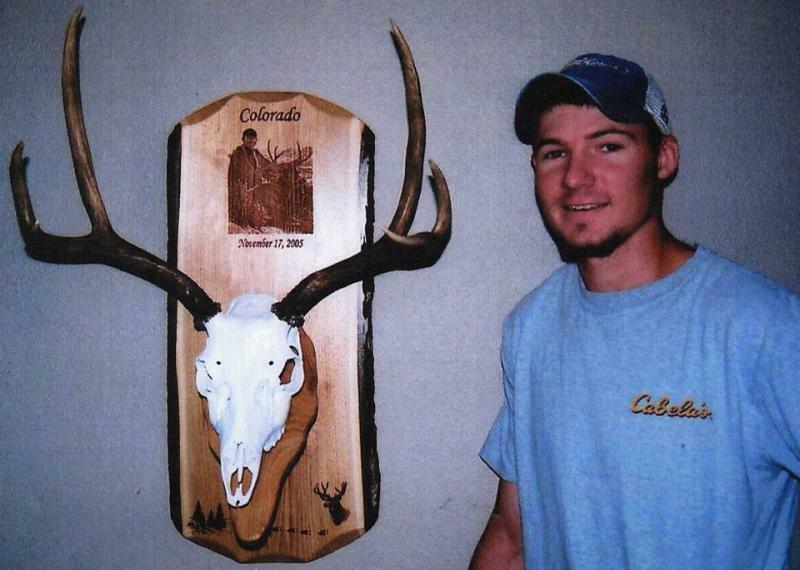 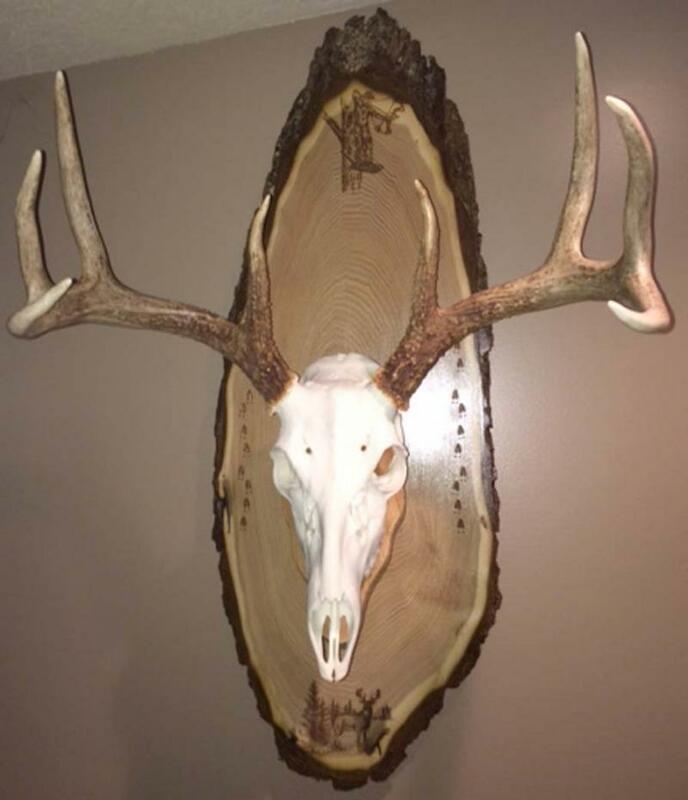 We want your trophy mount to have a one of a kind board/plaque behind it to stand out! 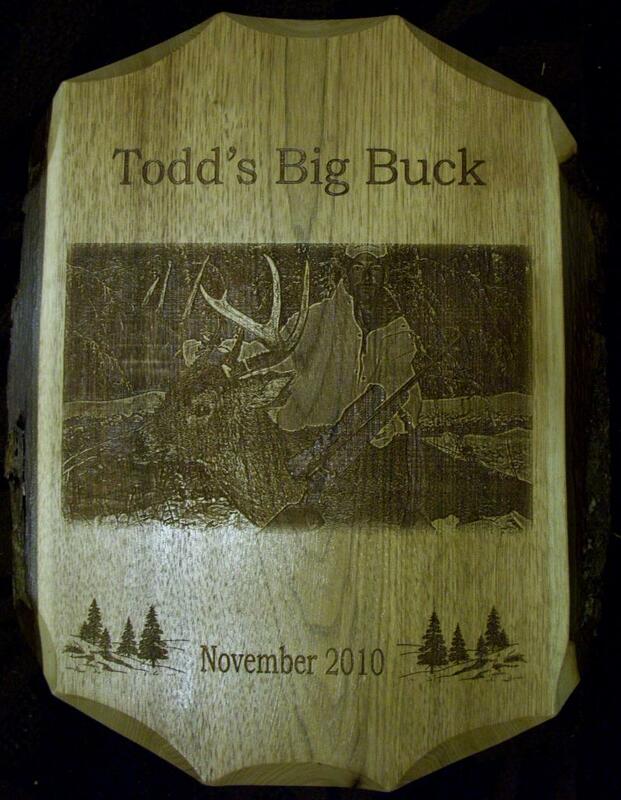 Click here to our Etsy Shop where we can design one just for you! 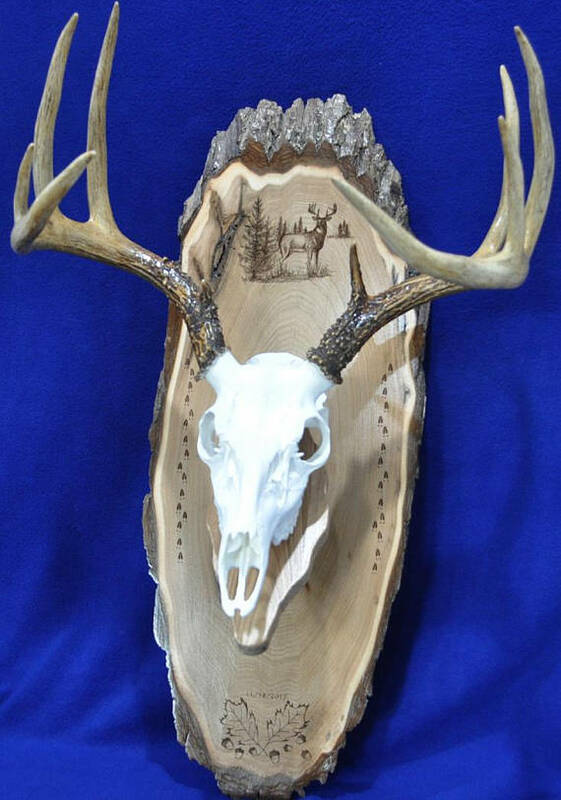 Click Here to go to our Etsy Shop to purchase! 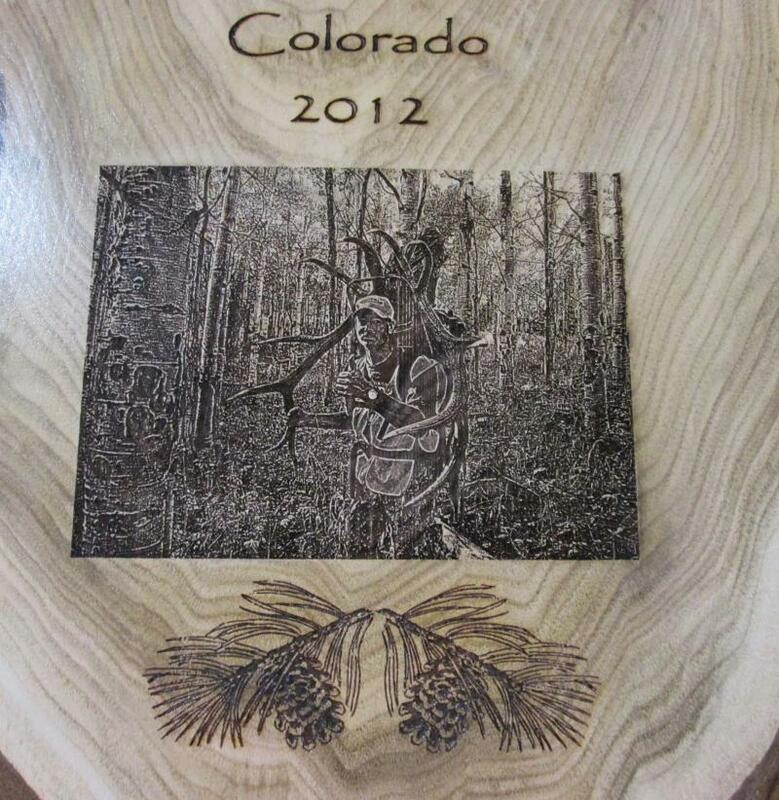 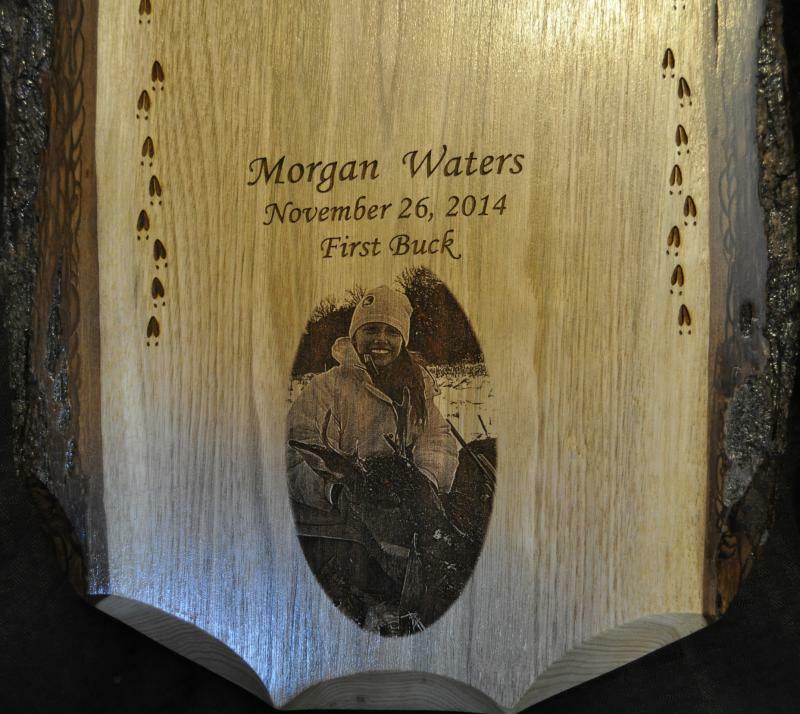 We can take your pictures and engrave them on a one of a kind board! 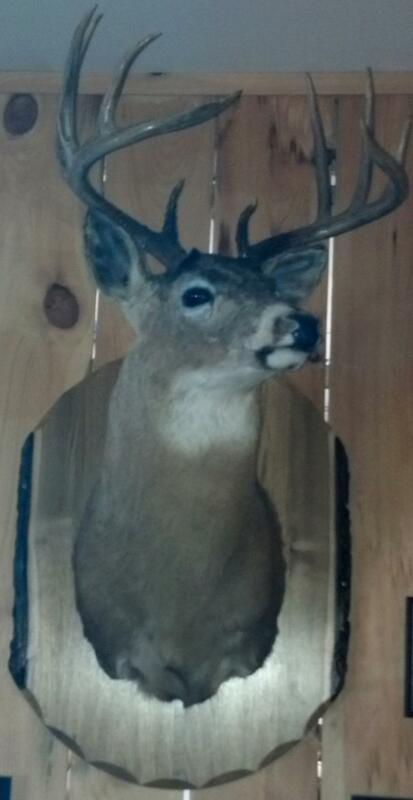 A Better View Of Iowa Hunter Picture...That Truly Is An "Iowa Monster Deer"! 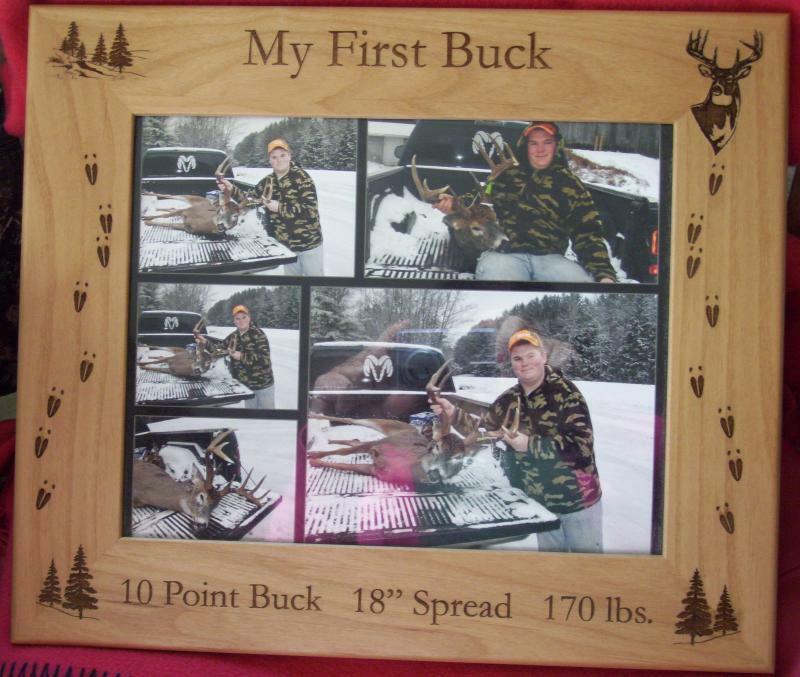 We had the privilege of creating a European Mount Plaque for Carson Reeve (The Son of Pat & Nicole from Driven TV) Check out the size of his First Buck! 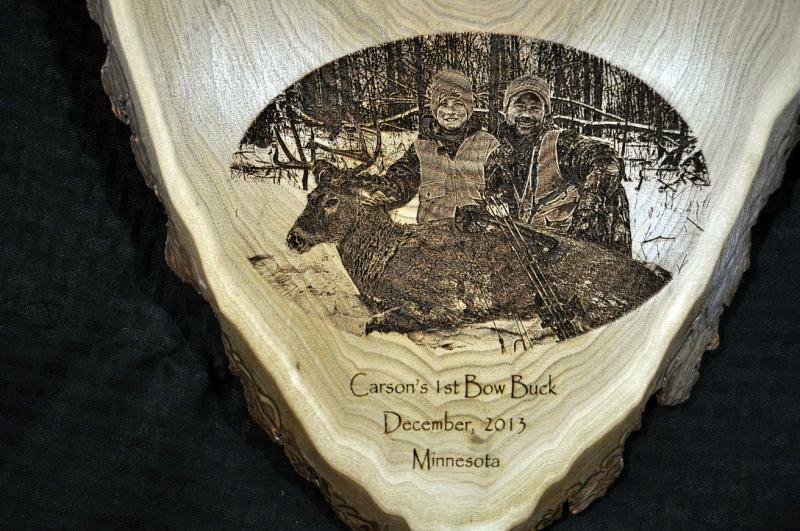 Way to go, Carson!! 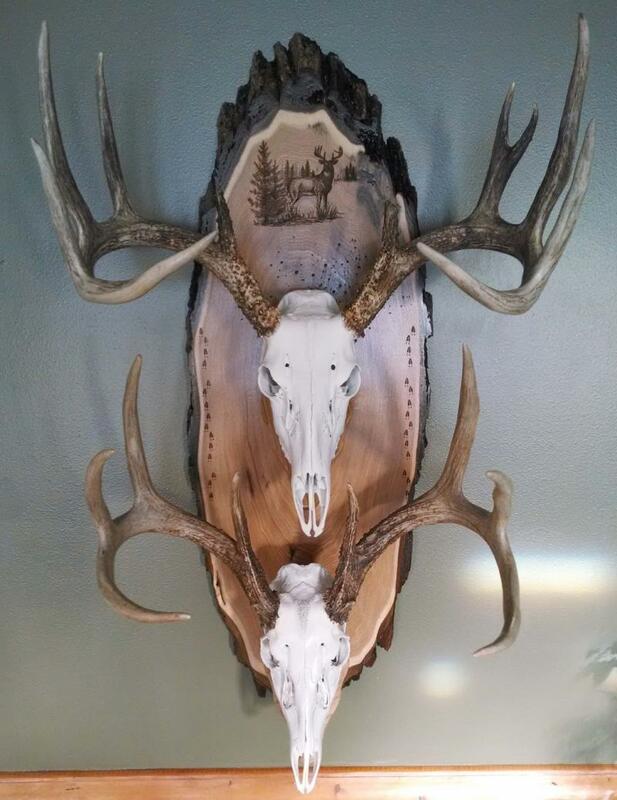 Just Like The Ones That Hang In The Green Bay WI Cabela's Store! 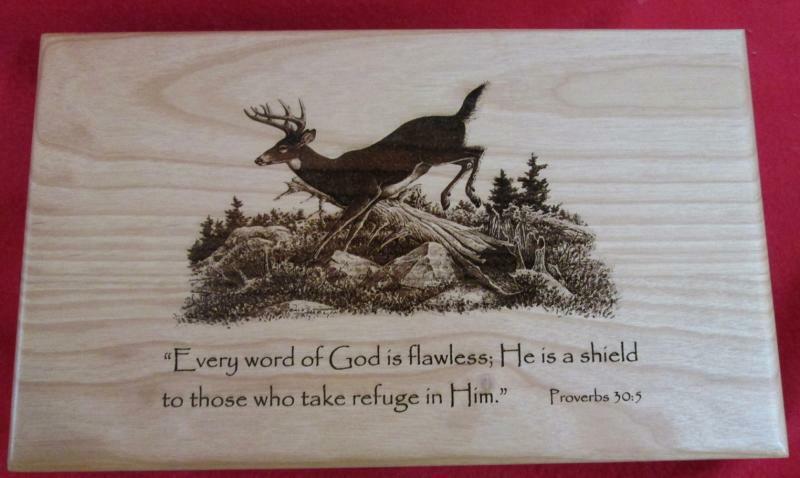 A Very Unique Plaque We Found In The Stack Of Wood! 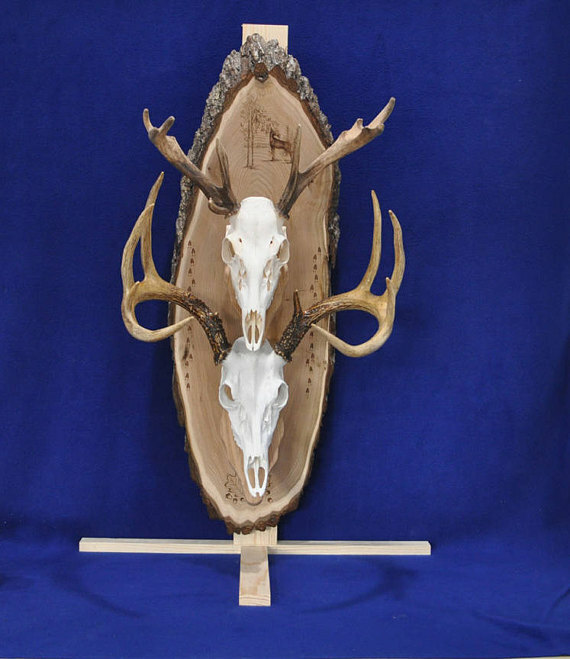 The Ones With The Knots and Odd Shaped Designs Are Our Best Sellers! 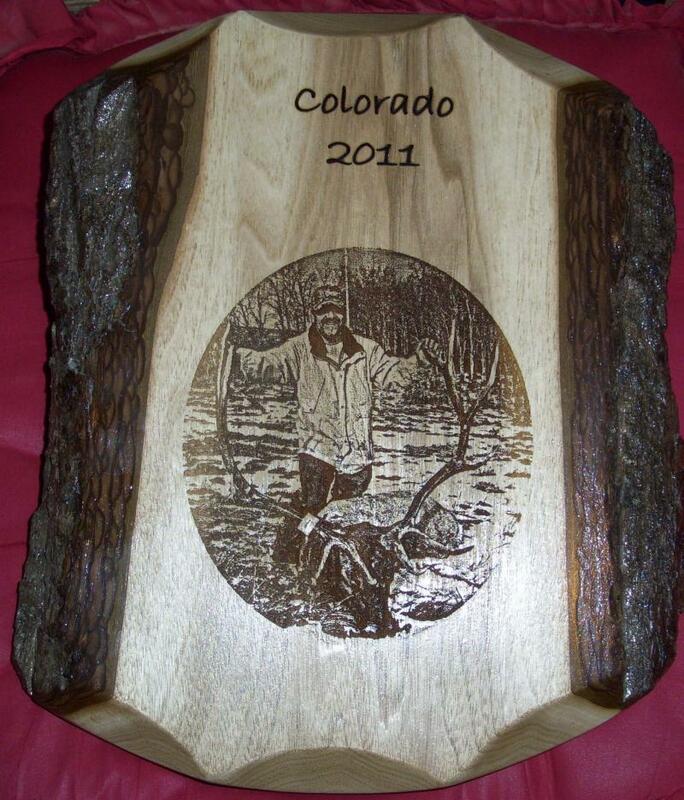 A Husband & Wife Plaque-Both Great Elk Kills! 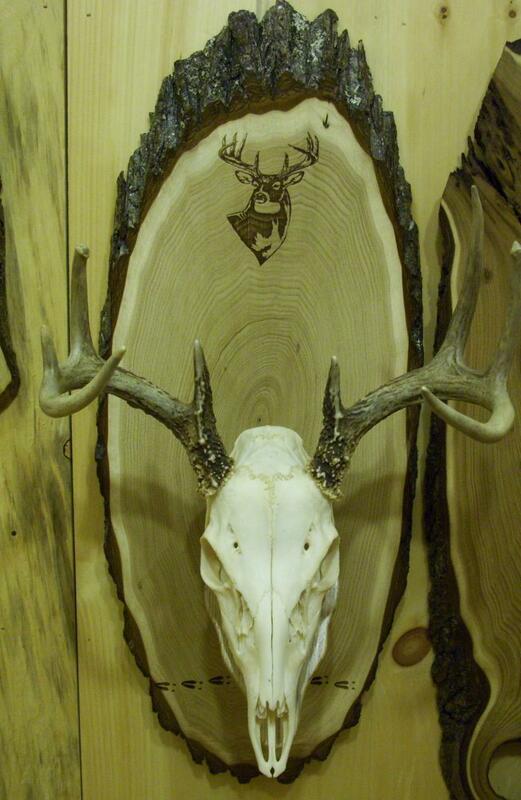 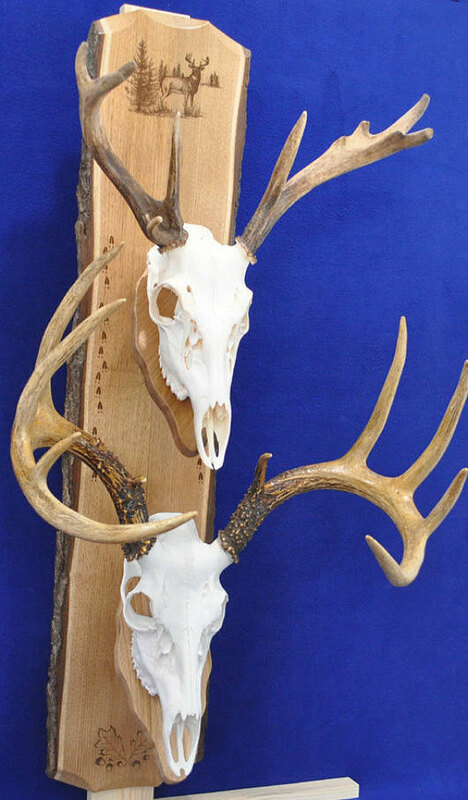 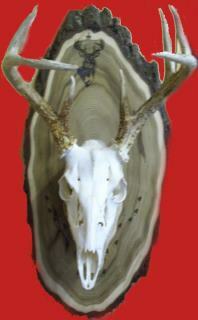 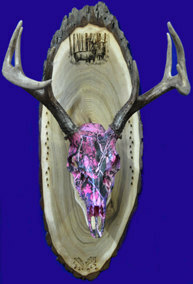 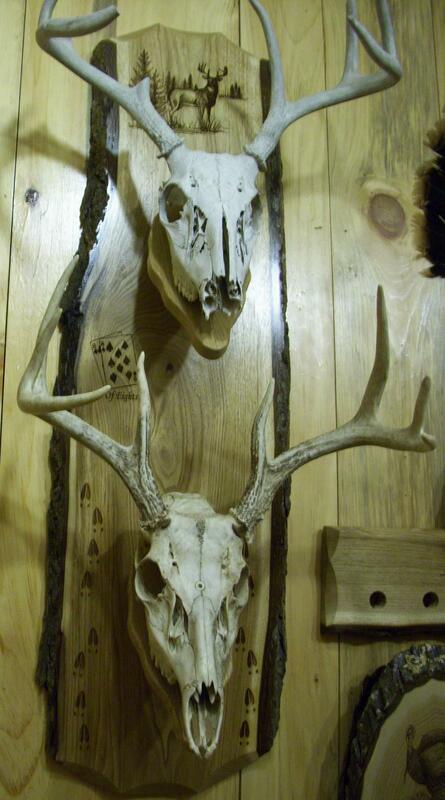 Here's a Double Skull plaque hanging in our shop...fighting bucks at the top, oak leaves/acorns at bottom.